“The Mole had been working very hard all the morning, spring-cleaning his little home.” So begins one of the great literary adventures of my life, The Wind in the Willows, published in 1908 by Kenneth Grahame. 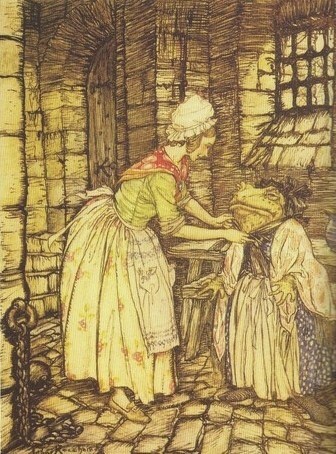 I’ve written about The Wind in the Willows before: http://wp.me/pYql4-19a. My parents read it aloud when I was little, and since then, it has been part of my life. Now the annotated edition, which I got this month, reveals details about the text and the author that I never knew before. I’ve been known to put off spring cleaning for months, but from laziness not “divine discontent.” As a younger reader, this phrase escaped me. Only now do I realize how Mole’s spirit of longing belonged to the author. I always imagined Kenneth Grahame as a country gentleman, strolling quietly by the river. Notes in the annotated edition make clear that while this came later, for much of his life, Grahame lived with a frustrated dream of living like that. 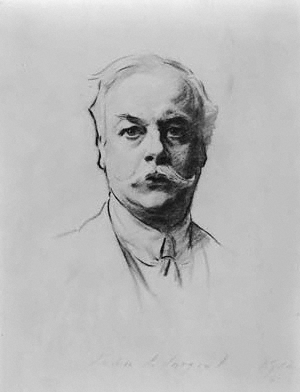 Kenneth Grahame by John Singer Sargent, 1912. Public domain. He knew and loved the country life, but economic necessity tied him to London. He abandoned his dream of going to Oxford and took a post at the Bank of England. He married late in life, and both he and his wife had health problems. Their only son, Alastair, was born with a congenital vision defect. One day in November, 1903, a respectably dressed man came into Grahame’s office, pulled out a revolver, and began shooting. The man didn’t hit anyone and was later sent to an asylum, but Grahame was shaken. Already a private man, he kept even more to himself, his home, and vacations near the sea. Grahame was already a popular author of several books of essays, but he stopped writing entirely between the years of 1903 and 1908. Because of his wife’s health problems, Kenneth was Alastair’s primary care giver. In the evenings, he made up stories about a mole, a toad, and various other animals, who lived beside a river. A governess would later recall hearing Alastair ask questions and make suggestions; the two of them worked the stories together. Father and son spent the summer of 1907 apart. Kenneth sent Alastair a series of 15 letters which continued the tales and became the seeds of chapters for the book he would write the following year. The letters are included in the annotated edition. Also in this edition is an introduction by Brian Jacques, contemporary author of the Redwall series of animal stories. Jacques lets us know what he thinks of the editors and agents who hesitated in printing The Wind in the Willows. He has nothing good to say about people so short of imagination that they could not imagine a toad disguised as a washerwoman. An enthusiastic recommendation from President Theodore Roosevelt helped Grahame’s publishing efforts and the book has been in print ever since. Some have suggested that Wind in the Willows is two books in one. The madcap adventures of toad seem geared to please children – they were Alastair’s favorites – while other sections explore deeper emotions like homesickness, fear, wanderlust, and of course the theme of divine discontent. This takes center stage in chapter 7, “The Piper at the Gates of Dawn,” in which the animals, searching for a lost baby otter, encounter the ancient god Pan. The Piper at the Gates of Dawn. Frontispiece to a 1913 edition by Paul Bransom. Public domain. Grahame first wrote about Pan in 1891 in an essay that appeared in his first book, The Pagan Papers 1893. His longing for unspoiled nature on the eve of the 20th century was widespread in Victorian and Edwardian society. Life brought less solace for Grahame. His son, Alastair, who inspired the stories, was a budding artist and creator of his own literary magazine, but he was plagued with emotional problems. He enrolled at Eton but had to leave for this reason. He went up to Oxford in 1918, but didn’t do well with exams. On top of this, numbers of WWI veterans were returning to college, bringing the focus and maturity they had learned in the trenches. 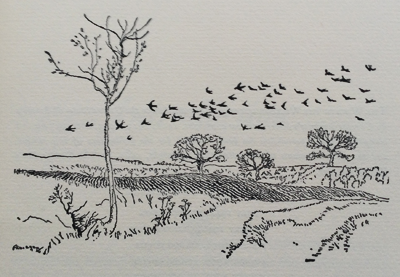 In May, 1920, Alastair Grahame asked for a glass of wine after dinner, then walked to Port Meadow, outside Oxford, where a number of railroad lines merged. During the night, he was hit by a train and died. His father wrote that his vision problems might have led to disorientation. The autopsy report suggested he lay on the tracks and waited for a train. The Grahames were devastated. They spent the next four years in Italy. When they returned to England, they moved to a town beside the Thames where they lived for the rest of their lives. Kenneth was able to spend his days by the river, as he had always dreamed of doing, but the joy he once had making stories for his son must have been absent. Some biographers have suggested that Grahame, good at everything he tried, must have been disappointed with his son. Annie Gauger, editor of the Annotated edition says no. She includes letters and other material to demonstrate that The Wind in the Willows was a joint creation of father and son. Since the stories were first told out loud, I have to agree – from experience I know that oral storytelling is a complex dance between teller and audience. Out of their limitations, their longings, and divine discontent, Kenneth and Alastair Grahame gave readers over the last hundred years a world of peace and friendship, far from “the wide world” trials, where if you listen, you can sometimes make out the music of the gods of nature on the wind. 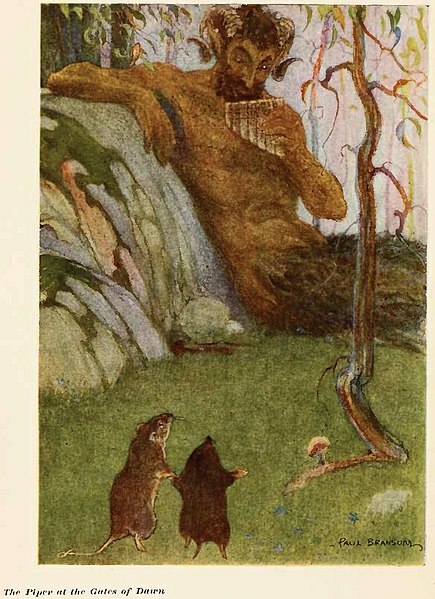 This entry was posted in Animals, art, Authors, Book Reviews, Books, Imagination, Novels and tagged Animals, art, authors, book reviews, books, fantasy, fiction, fictional characters, imagination, Kenneth Grahame, The Wind in the Willows. Bookmark the permalink. Thank you for posting. I’ve added this one to my list of must reads – and I’ll share with my teacher friends! That’s great. Thanks for passing it on. Thanks for the background notes on this classic; this sounds to be a seek-out volume in the same stable as ‘The Annotated Alice’. I particularly treasure the Arthur Rackham illustrations in my edition, much more atmospheric, nay, haunting than the Shepard drawings. Elsewhere (http://wp.me/p2oNj1-7L) I’ve briefly compared the pagan climax of E Nesbit’s ‘The Enchanted Castle’ with The Piper at the Gates of Dawn chapter, published almost contemporaneously in 1907. Though I’m not suggesting any plagiarism, it’s interesting how the relevant portions of each work capture that same wistful, mystical mood; perhaps there was something generally in the Edwardian air. I enjoyed your post on The Enchanted Castle. I think there was defiantly something in the air at that time. I think of Yeats, who joined the Golden Dawn, and tramped through the Irish hinterlands searching for fairy lore. And Conan Doyle, who tried to kill of Holmes at the Reichenbach Falls in order to concentrate on his metaphysical writings, which he valued more than his detective. I’ve also heard that he was planning to sail on the Titanic to attend a spiritualist conference in New York, but luckily for him and for us, his plans changed. Also, the earlier generation of William Morris, the craft movement, the Pre-Raphealite paintings and writings also seems a similar mood that finds more nourishment in a romanticized vision of the past than in the turn of the century present. Thanks for your comment.